1st Night: You’ll join the top Club Crawl in town as you bounce from venue to venue on a fun guided group night on the Las Vegas Strip! 2nd Night: Travel with the guys to one of the best Gentleman’s Clubs in Vegas. Enjoy the views & get the Bachelor that special attention on his last night as a free Man. 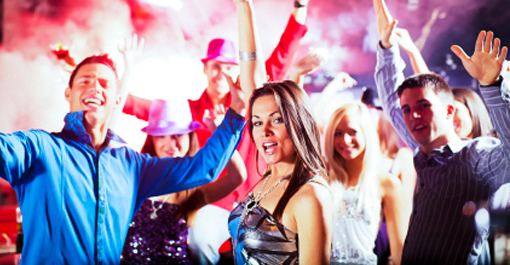 Our intoxicating club crawl tour will take you to ONE (1) ultra-lounge and THREE (3) top-rated nightclubs in the world, located on the Las Vegas Strip. Enjoy hassle-free, complimentary access to the top nightclubs, luxury transportation with complimentary beverages and a dedicated experiences Nightlife Host to guide you throughout the evening. 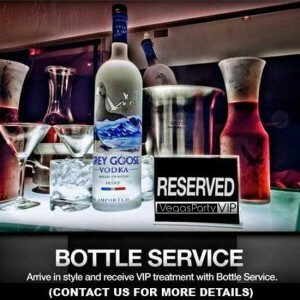 Start at an exclusive ultra-lounge where you will meet your host and enjoy drink specials. From there your host will walk you to the first nightclub. Later, board our party bus dubbed the “Night Club on Wheels,” with all-you-can drink beverages and be transported to TWO (2) more of the hottest Las Vegas nightclubs. Get picked up from your Hotel valet, dinner location, or anywhere else you’d like to start the night. Travel by house transportation to one of the Top Gentleman’s Clubs in the world. Enjoy cocktails or bottle service with some of the sexiest women on the planet! Send your buddy off the right way with proper entertainment.